A recent report from the Financial Conduct Authority (FCA) has revealed that the difference between the best fixed rate mortgage deals presently on the market compared with the average lenders Standard Variable Rates (SVR) has widened significantly since 2009. Consumers who had Standard Variable Rates from the country’s six largest mortgage lenders made up only 14% of these particular lenders’ mortgage balances but staggeringly contributed to 30% of their income generated from interest. The difference between the best performing two year fixed rate mortgage and the average Standard Variable Rate is currently almost five times higher at the time of writing (2.71%) than it was just six years ago (0.57%). 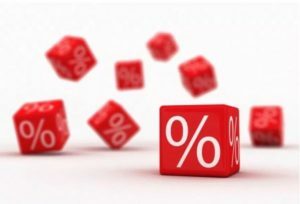 The good news however was that with increased publicity and awareness about the benefits of remortgaging, the number of consumers remaining on a Standard Variable Rate product has fallen. With the Bank of England strongly suggesting that an interest rate rise is also imminent, now could potentially be the last time to secure a fixed rate deal while the rates are comparatively still low – therefore guaranteeing considerable savings going forward, through what is expected to be a bumpy ride for the UK economy over the next few years. With figures and statistics such as these it is imperative to keep your mortgage in regular review, as people who are presently on a Standard Variable Rate could be paying hundreds – if not thousands – of pounds a year more than they need to. At One 77 we can search the entire UK mortgage market for you and have access to many specialist lenders and products not available on the high street. As we offer a fee free service there is no better time to get your mortgage reviewed completely free of charge.